Earlier, after the schedule for the by-poll was announced by the Election Commission, the Congress, Shiv Sena and the NCP indicated that they would come together to defeat him if he contested. 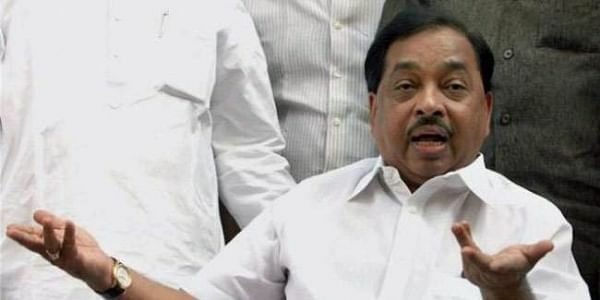 MUMBAI: Former Congress leader Narayan Rane may not contest the by-poll to the Legislative Council seat he had quit last month after Shiv Sena withdrew its support for the leader, said sources. Earlier, after the schedule for the by-poll was announced by the Election Commission, the Congress, Shiv Sena and the NCP had indicated that they would come together to defeat Rane if he contested the election. While the NCP had made it clear that it would support the Congress candidate, the Shiv Sena had kept its cards close to the chest. However, the party is now least expected to support him. The BJP had earlier said that Rane would contest the election as a candidate of his newly-launched Maharashtra Swabhiman Party and that the party would lend its support as it is an NDA member. Rane would have to ensure support of at least 145 members in the Maharashtra legislature where the BJP has a strength of 124. There are 14 independent MLAs supporting the BJP. However, that is not sufficient for the required number and hence Rane is not very keen on contesting the seat, said sources. "I have not spoken to chief minister Devendra Fadnavis and hence can't say anything about it," Rane told the New Indian Express. "I shall make a final decision only after I have a word with Fadnavis," he added. The BJP sources said that the party is in no mood to take any risk before the Gujarat Assembly polls, that are scheduled on December 9 and 14. Supporting Rane would disturb the Shiv Sena and would also backfire in terms of a dent in the party image. To avoid anything like this before the Gujarat polls, the BJP might ask Rane to wait for some time before being inducted to the state cabinet and getting him re-elected to either of the state legislature houses, party sources said.